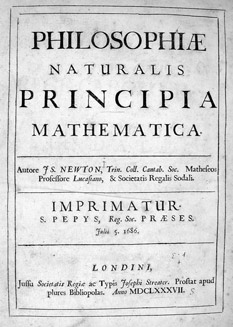 Philosophiæ Naturalis Principia Mathematica, Latin for "Mathematical Principles of Natural Philosophy", often referred to as simply the Principia, is a work in three books by Sir Isaac Newton, in Latin, first published 5 July 1687. After annotating and correcting his personal copy of the first edition, Newton also published two further editions, in 1713 and 1726. The Principia states Newton's laws of motion, forming the foundation of classical mechanics, also Newton's law of universal gravitation, and a derivation of Kepler's laws of planetary motion (which Kepler first obtained empirically). The Principia is "justly regarded as one of the most important works in the history of science". The Principia deals primarily with massive bodies in motion, initially under a variety of conditions and hypothetical laws of force in both non-resisting and resisting media, thus offering criteria to decide, by observations, which laws of force are operating in phenomena that may be observed. It attempts to cover hypothetical or possible motions both of celestial bodies and of terrestrial projectiles. It explores difficult problems of motions perturbed by multiple attractive forces. Its third and final book deals with the interpretation of observations about the movements of planets and their satellites. It shows how astronomical observations prove the inverse square law of gravitation (to an accuracy that was high by the standards of Newton's time); offers estimates of relative masses for the known giant planets and for the Earth and the Sun; defines the very slow motion of the Sun relative to the solar-system barycenter; shows how the theory of gravity can account for irregularities in the motion of the Moon; identifies the oblateness of the figure of the Earth; accounts approximately for marine tides including phenomena of spring and neap tides by the perturbing (and varying) gravitational attractions of the Sun and Moon on the Earth's waters; explains the precession of the equinoxes as an effect of the gravitational attraction of the Moon on the Earth's equatorial bulge; and gives theoretical basis for numerous phenomena about comets and their elongated, near-parabolic orbits. Propositions 57–69 deal with the "motion of bodies drawn to one another by centripetal forces." This section is of primary interest for its application to the solar system, and includes Proposition 66 along with its 22 corollaries: here Newton took the first steps in the definition and study of the problem of the movements of three massive bodies subject to their mutually perturbing gravitational attractions, a problem which later gained name and fame (among other reasons, for its great difficulty) as the three-body problem. Part of the contents originally planned for the first book was divided out into a second book, which largely concerns motion through resisting mediums. Just as Newton examined consequences of different conceivable laws of attraction in Book 1, here he examines different conceivable laws of resistance; thus discusses resistance in direct proportion to velocity, and goes on to examine the implications of resistance in proportion to the square of velocity. Book 2 also discusses (in ) hydrostatics and the properties of compressible fluids. The effects of air resistance on pendulums are studied in , along with Newton's account of experiments that he carried out, to try to find out some characteristics of air resistance in reality by observing the motions of pendulums under different conditions. Newton compares the resistance offered by a medium against motions of bodies of different shape, attempts to derive the speed of sound, and gives accounts of experimental tests of the result. Book 3, subtitled De mundi systemate (On the system of the world) is an exposition of many consequences of universal gravitation, especially its consequences for astronomy. It builds upon the propositions of the previous books, and applies them with further specificity than in Book 1 to the motions observed in the solar system. Here (introduced by Proposition 22, and continuing in Propositions 25–35) are developed several of the features and irregularities of the orbital motion of the Moon, especially the variation. Newton lists the astronomical observations on which he relies, and establishes in a stepwise manner that the inverse square law of mutual gravitation applies to solar system bodies, starting with the satellites of Jupiter and going on by stages to show that the law is of universal application. He also gives starting at Lemma 4 and Proposition 40) the theory of the motions of comets, for which much data came from John Flamsteed and Edmond Halley, and accounts for the tides, attempting quantitative estimates of the contributions of the Sun and Moon to the tidal motions; and offers the first theory of the precession of the equinoxes. Book 3 also considers the harmonic oscillator in three dimensions, and motion in arbitrary force laws. However, the concept of an attractive force acting at a distance received a cooler response. In his notes, Newton wrote that the inverse square law arose naturally due to the structure of matter. 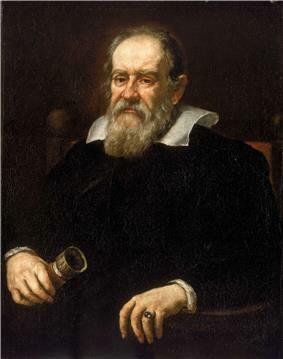 However, he retracted this sentence in the published version, where he stated that the motion of planets is consistent with an inverse square law, but refused to speculate on the origin of the law. Huygens and Principia. 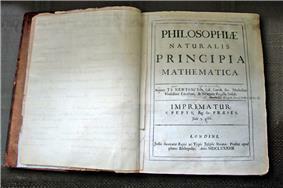 Here Newton used what became his famous expression Hypotheses non fingo, "I contrive no hypotheses", in response to criticisms of the first edition of the Principia. ('Fingo' is sometimes nowadays translated 'feign' rather than the traditional 'frame'.) Newton's gravitational attraction, an invisible force able to act over vast distances, had led to criticism that he had introduced "occult agencies" into science. Newton firmly rejected such criticisms and wrote that it was enough that the phenomena implied gravitational attraction, as they did; but the phenomena did not so far indicate the cause of this gravity, and it was both unnecessary and improper to frame hypotheses of things not implied by the phenomena: such hypotheses "have no place in experimental philosophy", in contrast to the proper way in which "particular propositions are inferr'd from the phenomena and afterwards rendered general by induction". 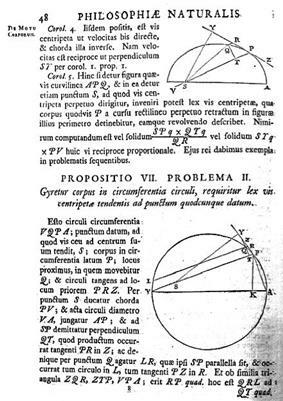 In January 1684, Halley, Wren and Hooke had a conversation in which Hooke claimed to not only have derived the inverse-square law, but also all the laws of planetary motion. Wren was unconvinced, Hooke did not produce the claimed derivation although the others gave him time to do it, and Halley, who could derive the inverse-square law for the restricted circular case (by substituting Kepler's relation into Huygens' formula for the centrifugal force) but failed to derive the relation generally, resolved to ask Newton. Halley's visits to Newton in 1684 thus resulted from Halley's debates about planetary motion with Wren and Hooke, and they seem to have provided Newton with the incentive and spur to develop and write what became Philosophiae Naturalis Principia Mathematica (Mathematical Principles of Natural Philosophy). Halley was at that time a Fellow and Council member of the Royal Society in London, (positions that in 1686 he resigned to become the Society's paid Clerk). Halley's visit to Newton in Cambridge in 1684 probably occurred in August. When Halley asked Newton's opinion on the problem of planetary motions discussed earlier that year between Halley, Hooke and Wren, Newton surprised Halley by saying that he had already made the derivations some time ago; but that he could not find the papers. (Matching accounts of this meeting come from Halley and Abraham De Moivre to whom Newton confided.) Halley then had to wait for Newton to 'find' the results, but in November 1684 Newton sent Halley an amplified version of whatever previous work Newton had done on the subject. This took the form of a 9-page manuscript, De motu corporum in gyrum (Of the motion of bodies in an orbit): the title is shown on some surviving copies, although the (lost) original may have been without title. The process of writing that first edition of the Principia went through several stages and drafts: some parts of the preliminary materials still survive, others are lost except for fragments and cross-references in other documents. Surviving preliminary materials show that Newton (up to some time in 1685) conceived his book as a two-volume work: The first volume was to be De motu corporum, Liber primus, with contents that later appeared in extended form as Book 1 of the Principia. A fair-copy draft of Newton's planned second volume De motu corporum, Liber secundus still survives, and its completion has been dated to about the summer of 1685. What it covers is the application of the results of Liber primus to the Earth, the Moon, the tides, the solar system, and the universe: in this respect it has much the same purpose as the final Book 3 of the Principia, but it is written much less formally and is more easily read. Imaginary portrait of English polymath Robert Hooke (1635–1703). The Martin Bodmer Library keeps a copy of the original edition that was owned by Leibniz. In it, we can see handwritten notes by Leibniz, in particular concerning the controversy of who discovered calculus (although he published it later, Newton argued that he developed it earlier). The Wren Library, Trinity College Cambridge has Newton's own copy of the first edition with handwritten annotations. The University College London library holds a copy in 'Strong Room E' of its Rare Books collection. The Harry Ransom Center at the University of Texas at Austin holds two first edition copies, one with manuscript additions and corrections. The Earl Gregg Swem Library at the College of William & Mary has a first edition copy of the Principia. In it, are notes in Latin throughout by a not yet identified hand. A first edition forms part of the Crawford Collection, housed at the Royal Observatory, Edinburgh. The collection also holds a third edition copy. The University of Michigan Special Collections Library owns several early printings, including the first (1687), second (1713), second revised (1714), unnumbered (1723), and third (1726) editions of the Principia. The Royal Astronomical Society holds a first edition, and two copies of the third edition. The Royal Society in London holds John Flamsteed's first edition copy, and also the manuscript of the first edition. The manuscript is complete containing all three books but does not contain the figures and illustrations for the first edition. The John J. Burns Library at Boston College contains a first edition as well as a 1723 copy published between the second and third editions. Yale University owns multiple copies, with a first edition among the collection of Harvey Cushing in the Medical Historical Library of the Harvey Cushing/John Hay Whitney Medical Library, as well as a second edition, housed in the Beinecke Rare Book & Manuscript Library, presented by the author to the Yale College Library in 1714. The George C. Gordon Library at the Worcester Polytechnic Institute holds a third edition copy. The Gunnerus Library at the Norwegian University of Science and Technology in Trondheim holds a first edition copy of the Principia. Haverford College Quaker & Special Collections owns a first edition of the Principia. The Fellows Library at Winchester College owns a first edition of the Principia. The Fellows' Library at Jesus College, Oxford owns a copy of the first edition and second edition. The Old Library of Magdalen College, Oxford owns a first edition copy. The Library of New College, Oxford owns a first edition copy. The Library of Somerville College, Oxford owns a second edition copy. The Southwest Research Institute in Texas owns a third edition copy dated 1726CE. The Teleki-Bolyai Library in Târgu-Mures, first edition, 2-line imprint. Newton had been urged to make a new edition of the Principia since the early 1690s, partly because copies of the first edition had already become very rare and expensive within a few years after 1687. Newton referred to his plans for a second edition in correspondence with Flamsteed in November 1694: Newton also maintained annotated copies of the first edition specially bound up with interleaves on which he could note his revisions; two of these copies still survive: but he had not completed the revisions by 1708, and of two would-be editors, Newton had almost severed connections with one, Fatio de Duillier, and the other, David Gregory seems not to have met with Newton's approval and was also terminally ill, dying later in 1708. Nevertheless, reasons were accumulating not to put off the new edition any longer. Richard Bentley, master of Trinity College, persuaded Newton to allow him to undertake a second edition, and in June 1708 Bentley wrote to Newton with a specimen print of the first sheet, at the same time expressing the (unfulfilled) hope that Newton had made progress towards finishing the revisions. It seems that Bentley then realised that the editorship was technically too difficult for him, and with Newton's consent he appointed Roger Cotes, Plumian professor of astronomy at Trinity, to undertake the editorship for him as a kind of deputy (but Bentley still made the publishing arrangements and had the financial responsibility and profit). The correspondence of 1709–1713 shows Cotes reporting to two masters, Bentley and Newton, and managing (and often correcting) a large and important set of revisions to which Newton sometimes could not give his full attention. Under the weight of Cotes' efforts, but impeded by priority disputes between Newton and Leibniz, and by troubles at the Mint, Cotes was able to announce publication to Newton on 30 June 1713. Bentley sent Newton only six presentation copies; Cotes was unpaid; Newton omitted any acknowledgement to Cotes. In 1739–42 two French priests, Pères Thomas LeSeur and François Jacquier (of the 'Minim' order, but sometimes erroneously identified as Jesuits) produced with the assistance of J-L Calandrini an extensively annotated version of the 'Principia' in the 3rd edition of 1726. Sometimes this is referred to as the 'Jesuit edition': it was much used, and reprinted more than once in Scotland during the 19th century. Émilie du Châtelet also made a translation of Newton's Principia into French. Unlike LeSeur and Jacquier's edition, hers was a complete translation of Newton's three books and their prefaces. She also included a Commentary section where she fused the three books into a much clearer and easier to understand summary. She included an analytical section where she applied the new mathematics of calculus to Newton's most controversial theories. Previously, geometry was the standard mathematics used to analyse theories. Du Chatelet's translation is the only complete one to have been done in French and hers remains the standard French translation to this day. See "Translating Newton's 'Principia': The Marquise du Châtelet's Revisions and Additions for a French Audience." Author(s): Judith P. Zinsser Source: Notes and Records of the Royal Society of London, Vol. 55, No. 2 (May 2001), pp. 227–245. Two full English translations of Newton's 'Principia' have appeared, both based on Newton's 3rd edition of 1726. The second full English translation, into modern English, is the work that resulted from this decision by collaborating translators I. Bernard Cohen and Anne Whitman; it was published in 1999 with a guide by way of introduction. British astronaut Tim Peake named his 2014 mission to the International Space Station Principia after the book, in "honour of Britain's greatest scientist". ^ From Motte's translation of 1729 (at 3rd page of Author's Preface); and see also J. W. Herivel, The background to Newton's "Principia," Oxford University Press, 1965. 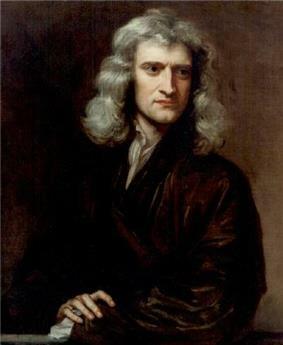 ^ Newton, Sir Isaac (1729). "Proposition 22". The Mathematical Principles of Natural Philosophy, Volume II. p. 232. 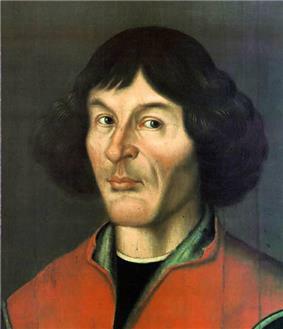 Newton's position is seen to go beyond literal Copernican heliocentrism practically to the modern position in regard to the solar system barycenter. ^ Ducheyne, Steffen. "The General Scholium: Some notes on Newton’s published and unpublished endeavours, Lias: Sources and Documents Relating to the Early Modern History of Ideas, vol. 33, n° 2, pp. 223–274.". Retrieved 19 November 2008. ^ "Museum of London exhibit including facsimile of title page from John Flamsteed's copy of 1687 edition of Newton's ''Principia''". Museumoflondon.org.uk. Retrieved 16 March 2012. ^ The Henryk Niewodniczanski Institute of Nuclear Physics. "Particle Physics and Astrophysics Research". ^ Rovelli, Carlo. "Notes for a brief history of quantum gravity". ^ Newton, Isaac (1687). "Philosophiae naturalis principia mathematica" (in Latin). Swem Library: Jussu Societatis Regiae ac Typis Josephi Streater. ^ See pages 29–37 in I. Bernard Cohen (1999), "A Guide to Newton's Principia", published as an introduction to "Isaac Newton: The Principia, Mathematical principles of natural philosophy, a new translation" by I Bernard Cohen and Anne Whitman, University of California Press, 1999.